However if you have some know-how we have upgrade bundles, creating a great way to breathe new life into an old computer. 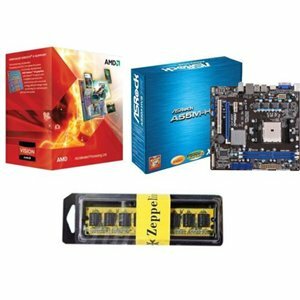 These bundles come with a processor, memory and motherboard which are all compatible allowing you to simply plug them into any existing computer tower and away you go! Not only does this breathe new life into your computer but it always lets you use components from your machine without having to replace everything! If you require any additional items, please continue browsing after adding the bundle to your basket and simply add the other items in the basket.